Outstanding tribute to our military family in a beautifully illustrated children’s book. Military families will enjoy sitting down together to read this short book. You'll look at the beautiful illustrations and learn some of the what and why of military life. Children will also enjoy searching for small images hidden within most of these beautifully rendered illustrations. Written in simple, rhythmic verses, this book will appeal to today's military family. This handsome hardback belongs on your family's coffee table… but only when you and your children aren't holding it as you read it together! My Soldier Dad is the much-anticipated second book in the Patriot Kids series. My Sailor Dad, the first book in the Patriot Kids Series, won a GOLD MEDAL in 2010 for best Children's Book from MWSA. All of the Patriot Kids books exist to bolster national pride in our service members, be an invaluable resource for service member families, and be engaging, educational books for military kids who are so proud of their parents and yearn to know more about their parent's respective military profession. My Soldier Dad is written in a slightly modified (but impeccably consistent) anapestic tetrameter. The story offers two exciting stories-within-stories, some fantastic artistic techniques that help kids feel that they are actually part of the story, and a celebration of Dad's humanitarian efforts in addition to his military prowess. Finally, this My Soldier Dad offers some clever “Easter Eggs”: at the bottom of each page of text, the reader will find an image (the red thumbtack on the first page). Can you (or your child) find the same image hidden in the drawing on that page? (Hint: there is no dog in the newspaper page.) More information can be found at patriot-kids.com. Army Reservist Miles Cannon is recalled from his job as a Police Detective to investigate the death of an active duty officer in war-torn Iraq. This officer saved Cannon’s life and that of his General, so they are determined to find the truth about his death. There is a lot of intrigue in this ancient land, and most of the natives do not appreciate the interference of outsiders. Cannon meets an archaeologist whose uncle is in charge of a museum which was looted. Was the officer’s death related to these and other thefts from archaeological digs? Can anyone be trusted? There is a great deal of action and reaction in just 174 pages. There is little personal safety in Iraq, even in the green zone, and there is a dangerous road between the green zone and the airfield which is the area’s transportation center. Traveling by small convoy to other cities is even more treacherous. Although it appears that the officer committed suicide, those who knew him are convinced that could not be true. Cannon needs both his police investigative skills as well as his Army Special Operations training. Police detective Miles Cannon had already served his time as an Army reservist in Iraq and Afghanistan. His former commander calls him to active duty again to investigate the death of the man who saved both of their lives. Cannon returns to war-torn Iraq and finds himself in the middle of a dangerous investigation involving an attractive archaeologist and a desert mystery that is thousands of years old. He will need both his investigative skills and his Army special operations training to survive this deadly desert adventure. Unbelievable believability meets the reader of Battle Scars, from the first page to the last. With a depth and detail worthy of any combat veteran's memoirs, David M Salkin weaves a fictional story of a young soldier's experience that is so raw and unabashedly emotional, the reader has no choice but to take the journey with the men portrayed. It is difficult to believe this is a work of fiction rather than a first-person retelling of the humanity hiding in plain sight on and off the battlefield. Those who have been in combat will recognize themselves in these pages, and those who have lost someone they love in combat will relive that experience with this young Marine and the families he meets. Battle Scars may be a work of fiction, but the story it tells is all too real. It is the story of the men and women from all eras who have upheld their oath to defend this nation. It is the story of those left to mourn the fallen, and it is a reminder to all of the tremendous cost of freedom. Battle Scars is a thought provoking drama with compelling characters that illustrates the resiliency and strength of the human spirit, the power of love and friendship, and the ability to overcome even our darkest moments. Gritty realism and original storytelling breathe life into Battle Scars as it inspires us with a surprising tale of heroism and the great sacrifice made by our modern war fighters. LTCOL T. Kevin White "TK"
"This book is a gut check for those who have worn the cloth of the nation. For those who have not it is a testimonial for those who have served and sacrificed. As Americans we are blessed with freedom. It comes at a price." "This book was a tough read, and at the same time I couldn't put it down. Salkin got this one right! Every now and again you come across a book that is as much cathartic as it is entertaining. At a time when we are losing way too many Soldiers, Sailors, Airmen and Marines, it struck a chord with this Old Soldier." “David Salkin has fired at close range and with unerring accuracy with this tale! He takes a tough situation that is all-too-often neglected and gives it life. This story is for all veterans and their supporters. His first-person writing style makes the reader feel present throughout the story. It's a quick read that will leave you thinking long after completion. I most strongly recommend it to all who are interested in understanding better the true costs of America's conflicts—past, present, and future. " "For anyone who's ever been there, this book brings back all the sights, sounds and smells of deployment like none other. Take care in the reading because Battle Scars is real. An often painful, always enthralling reminder of what we give...and what we lose...whenever we send our men and women to war. Mr. Salkin brought to life the pain and struggles of our fellow veterans and showed an accurate account of their bravery off the field." Barnes, a military spouse and longtime columnist for Stars and Stripes, brings home these vibrant life vignettes with heart and candor, crafting a record of shared culture and experience for those who belong to this far-reaching All-American community. Her reflections capture and personalize behind-the-scenes anecdotes of military spouses, sons and daughters, friends and family—those charged with broad responsibility for keeping the home fires burning and family life intact through countless moves, transitions, traumas and transformations. Their stories and sacrifices are honored here. From reminiscences triggered by the discovery of a long lost lego block or an old moving sticker, to wrenching descriptions of military funerals, Barnes’ recollections touch on issues close to home for anyone who has lived within the concentric circles of military life, including military children, Gold Star parents, and those struggling with PTSD. From her own kitchen table to Capitol Hill, journalist Terri Barnes takes readers beyond the headlines for an inside look at the challenges and victories of military life. "Spouse Calls: Messages from a Military Life" is a best-of compilation drawn from Terri's long-running "Spouse Calls" column for Stars and Stripes. Through poignant personal stories, incisive interviews, and emotive reflections, the author and columnist has created a snapshot of life on the home front during two wars, preserving an important piece of our nation's culture. Timothy Trainer writes a poignant, moving portrait of a man he referred to as “Dad” but many more knew as “Top,” a senior non-commissioned officer serving as a company first sergeant. First Sergeant Emerson Trainer (the author’s father), was a career infantry soldier who served in combat in Korea and twice in Vietnam, the second time as the senior enlisted soldier in Bravo company, Second Battalion, 7th Cavalry (or B2-7). Fourteen of the soldiers he served with relate to his son what his leadership meant to them. The United States Army in Vietnam was very different from the one recently fielded in Iraq and Afghanistan. It had a solid core of non-commissioned officers and senior officers who had seen combat, but the basic grunt and the junior officers were in many cases unblooded draftees. Those soldiers needed the leadership and experience of those like Top Trainer in order to stay alive, and they relay in magnificent detail how his leadership, mentoring, coaching, and caring kept them alive through what was the most difficult times in their lives. Those who enjoy period pieces from the Vietnam war or combat memoirs in general will find this entertaining. It can also have some application in a leadership curriculum. The Fortunate Son: Top, through the Eyes of Others, takes two paths. One path sheds light onto what it was like to be an Army brat during the Vietnam years. The second path describes the journey that many young men traveled as they were transformed from civilians to soldiers. Decades later, the Army brat, whose father was the combat seasoned senior NCO, meets thirteen men who served under his father in Vietnam. 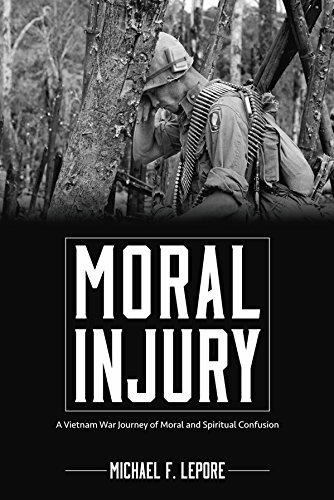 In total, fourteen men whose lives were touched by Top provide this Army brat with their words and a new understanding of what sacrifice at home meant to young men who needed leadership to survive. This story weaves several time periods deftly, with the present established as the days leading up to the Battle of Bull Run (Manassas) and the battle itself. The majority of the book centers on the cadets days at West Point (United States Military Academy – USMA) and describes military training details as well as the feelings and positions on a state’s right to secede from the union and the hope for peace versus the possibility of war. The cadets are well aware of the tensions between the cotton-producing states and the manufacturing states and their interdependence. The reality of the situation affects not only the relationships of the cadets but also their personal lives. This is a period piece that will appeal to a broad audience. Period photographs on the cover and in the first few pages enhance the book. The author provides a list of main characters that includes the states from which the cadets come, which helps you to understand their positions. In the Foreward, Brigadier General Peter M. Dawkins (ret) notes that this book “brings American history to life and, in the process, makes you think, smile, and sometimes weep.” How true. The Parting is the true and epic story of the “band of brothers” of the West Point Class of 1861 that experienced its last year at the Academy on the eve of the Civil War before confronting each other in the first major battle of the war. The book's cover artwork features a period photograph of cadets conducting field artillery drill on the Plain at West Point. Pictured on the cover are the story’s protagonist John Pelham from Alabama and his close friend Edmund Kirby from New York. The story unfolds in flashbacks from the days leading up to and including the First Battle of Bull Run, and chronicles the divisive issues of slavery, states' rights, the election of Abraham Lincoln, the unraveling of a nation, the formation of another, and the cat and mouse game that is Fort Sumter. The cadet and military characters in The Parting are real and their deeds and fates are recorded history. Pelham’s friends include George Armstrong Custer and the abolitionist Emory Upton. Pelham, who would be lauded in the war as "The Gallant Pelham" by Robert E. Lee, is the most popular man in his class as well as the best artillerist, horseman, and swordsman, but like Custer also has the most demerits. Central to the story is Pelham’s relationship with the beautiful Clara Bolton from Philadelphia who, with her five girlfriends from Clermont College for Women on Long Island, spends a chaperoned week at the West Point Hotel, barely two hundred yards from the most eligible bachelors in the country. Guiding Missal is a multi-generational family story of courage and faith with an inspiring premise. The story focuses on the lives of three men, spans fifty years, two wars and one crisis that brings the United States and the Soviet Union to the brink of war. What helps these men through their life-and-death situations is the comfort they receive from a missal that's been handed down from father to son. Author Nancy Panko has taken a familiar story and added a twist: the missal not merely a passive prayer book—she makes it a participant in a way that is both clever and touching. The narrative is further enhanced by real-life accounts of incidents told to her by veterans and relatives. The result is a moving and inspirational story, specific in its action and timeless in its theme. Across a span of fifty years, three generations of military men have one prayer book in common that has a mind and voice of its own. In 1944, a U.S. Army baker volunteers as a forward observer to carry out covert operations behind German lines in World War II. In the early Sixties, a focused nineteen-year-old Airman is responsible for decoding critical top secret messages during the height of the Berlin Crisis. In 1993, an army sniper overcomes a debilitating condition only to fight for survival in the streets of war-torn Mogadishu, Somalia, when a Blackhawk helicopter is shot down. Yet, when each of these men face a crisis, this very special prayer book, My Military Missal, intercedes with understanding and divine power. Based on actual events, Guiding Missal is relevant for any person who is serving or has served in the military and their families. This story will help you understand why soldiers are “old” at twenty-five or why they become angry when someone disrespects the American flag. Guiding Missal’s timeless journey of faith, patriotism and miracles will touch your heart as the missal and the men call out to God for guidance, protection, and a safe return home. How does a writer begin to capture the essence of something as vast as the Civil War? Immediately after the fighting stopped, the U.S. government printing office attempted to preserve all the Official Records of the War of the Rebellion. After compiling 126 volumes, each one numbering well over a thousand pages of impossibly small type, they found they had documents but little more understanding of what had happened. Ever since, historians have tried to narrow their focus—to just one year, one battle in that year, one state who fought in the battle, one regiment from that state, and eventually, just one soldier from that regiment. Each choice has its limitations. In Echoes from Gettysburg, J. Keith Jones has chosen to focus on the troops from South Carolina who fought at Gettysburg. His emphasis is on those who left behind a written record of their lasting memories, their personal impressions, and their fears. Almost 5000 South Carolinians were on the field in Gettysburg; he has collected information on some 780 of them. Their words echo through their letters to loved ones, their diary entries, the accounts they wrote for their local newspapers, the memories they shared with comrades many years later at Gettysburg reunions, and sometimes their obituaries. This collection brings readers face to face with the harsh realities of the war. It leaves them with greater understanding and more compassion for the men on both sides of the conflict. Jones has clearly identified the sources of the documents he includes in this collection. He provides an accurate and useful index. The book also offers a few well-drawn maps and contemporary photos of some of the leading figures. A serious researcher, however, will need to follow up on each source to find the original documents, since it can be hard to tell here whether a spelling error reflects a lack of education on the part of the soldier or an editing failure during the compilation of the book. Those who write about South Carolina history--or genealogy, or about the Civil War, or about the Battle of Gettysburg--will find this book to be a necessary addition to their research efforts. South Carolina contributed two brigades of infantry, two regiments of cavalry and several artillery batteries to the Battle of Gettysburg in July of 1863. Their veterans related accounts of heroism and fear, triumph and loss for the remainder of their lives. These are their stories. Gleaned from diaries, letters and newspaper articles written immediately after the great battle and throughout the balance of the lives of its veterans, these stories place the reader in the boots of the men who lived the experience. Included with the firsthand accounts are maps of the fields fought for by these sons of the Palmetto State and photographs of a number of the soldiers involved. Along with battle histories and the individual exploits of the brigades led by General Joseph Kershaw, General Wade Hampton and Colonel Abner Perrin are accounts of the artillery batteries from South Carolina and the improvised cavalry command assembled from scattered companies by Colonel John Logan Black, who had been left behind due to wounds from an earlier battle. Black was determined to rejoin the army as soon as he was able and caught up with General Robert E. Lee with two companies and other miscellaneous cavalrymen who had been separated from their regiments. His improvised command participated in all three days of the battle before rejoining Hampton’s Brigade . Also covered are the annual reunions where the old soldiers gathered to camp once again on the fields of Gettysburg. The veterans recount many tales of reconnecting with old comrades, memories of those who never made it home, and their reconciliation with former enemies. Every strata of the soldier experience at Gettysburg is represented from the highest general to the lowliest private. Every life is a story and provides a piece toward completing the puzzle of the human experience at Gettysburg. In That Deadly Space author Gerald Gillis spins an interesting yarn about a young man, Conor Rafferty, going off to fight for the confederacy in the Civil War. He does so against his father's wishes and carried with him his father's admonishments that he will be no good in combat. He also does so despite his personal opposition to slavery. These conflicts affect him throughout the war, but he is determined to be a good officer and soldier. The author is adept in portraying his protagonist's experiences as well as giving the reader insight to a soldier's life in that war. Conor's story is a tragic one, but without doubt resembled the story of many real soldiers who fought in that war. As with most wars, the young men and women who fight and die in it had no role in initiating it. I recommend That Deadly Space to everyone who enjoys historical fiction and especially to those who enjoy reading about the US Civil War. The Civil War has begun in earnest. Conor Rafferty joins the Confederate army as a young infantry officer against the wishes of his father who, in his Irish anger, is adamantly opposed to a war with the North. Conor soon finds himself in many of the war’s most consequential battles, leading from the front and risking all inside that deadly space. He serves with distinction in General Robert E. Lee’s celebrated Army of Northern Virginia as it seeks the crowning victory that will end the war and stop the carnage. Along the way, Conor becomes a protégé of fellow Georgian John B. Gordon who eventually rises to command a Confederate army corps. At the conclusion of each chapter, the narrative transitions to the now aged Conor who answers the probing questions of his grandson Aaron, himself a captain in the U.S. Army and scheduled for duty in Europe during World War I. The grandfather and grandson thus spend a week together—a week of sharing, learning, and bonding. That Deadly Space is a compelling tale that portrays the drama, heroism, romance, and tragedy of the Civil War.